George joined the 3rd Parachute Squadron RE in April 1943 as a member of 1 Troop. He landed in Normandy on the night of 5/6 June 1944 and was involved with the destruction of bridges across the river Dives, and the following battle of Breville. He later took part in the "Battle of the Bulge" (the Ardennes Campaign) where he was engaged in locating around 50 anti tank mines, German and American. This was followed by his taking part in "Operation Varsity", the River Rhine crossing and the advance across Germany to the Baltic. 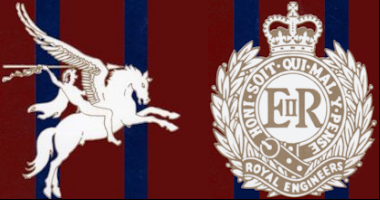 As a member of 1 Troop he went to the Far East. His arrival in India coincided with the dropping of the Atom Bomb and he moved to the Dutch East Indies (now Indonesia) to disarm the Japanese and protect the Dutch Settlers. 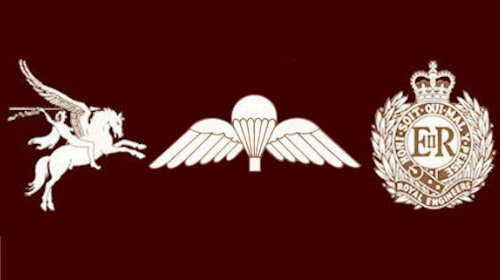 With the Squadron as part of 5 Para Brigade he left the Far East in September 1946 and rejoined 6th Airborne Division in Palestine, and remained there until April 1947 when they returned to the UK. Following demob he worked in the car manufacturing industry. He Married Pauline and was devastated when she died suddenly and never got over losing her. He was a regular attendee during the existence of the Annual 6th Airborne Division Dinner, and regularly visited Normandy for the "D Day" anniversary. George was a quiet unassuming man, very proud to have been an Airborne Sapper.